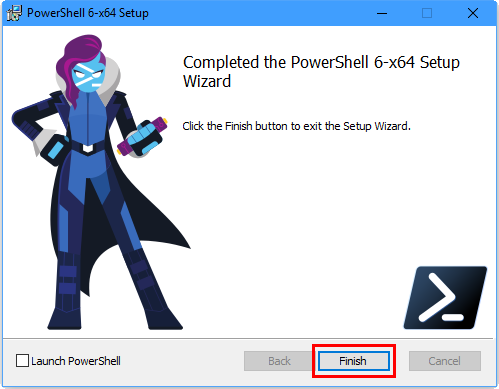 This blog post is a reminder to myself on the installation process for PowerShell Core. PowerShell Core is a version of PowerShell based on .NET Core. The idea is to bring PowerShell across to platforms other than Windows (for example Linux, and macOS). 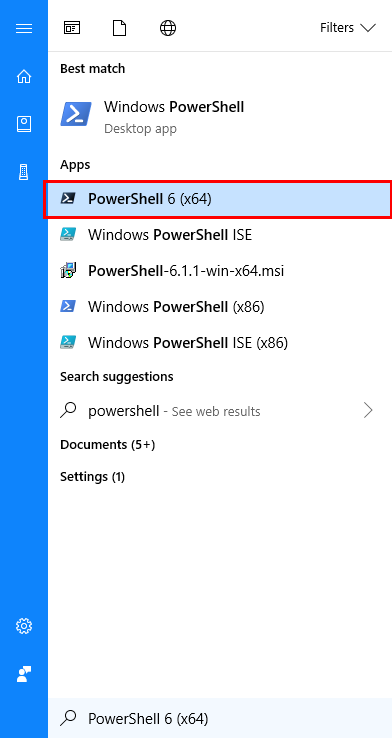 The installer for PowerShell Core can be found at https://github.com/PowerShell/PowerShell. If you browse to this page, you’ll see the Windows Installer somewhere on the middle of the page. After you clicked on the link, an installation file should be downloaded to your computer. 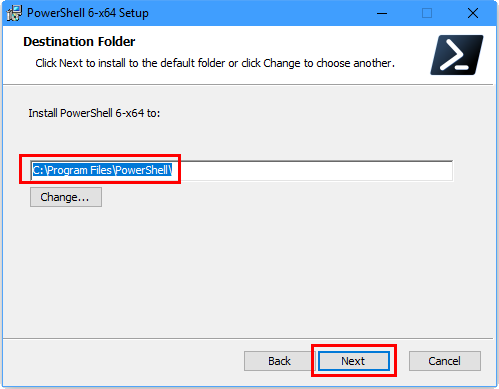 After the file has finish downloading, you should see the downloaded file which is named something like “PowerShell-<version>-<platform>.msi”. Double-clicking the file will start the installation process. After the installation process startup, you will see a screen like the below. Click on the “Next” button to proceed with the installation process. 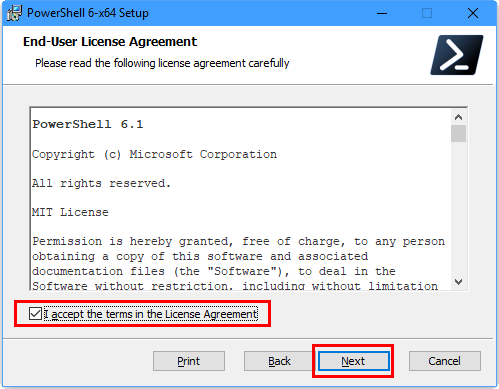 After you clicked on the next button, you will come to the “End-User License Agreement” dialog. Checked on the “I accept the terms in the License Agreement” checkbox. Click on the “Next” button to proceed with the next step of the installation process. After you clicked on the “Next” button, you will see the “Destination Folder” dialog. 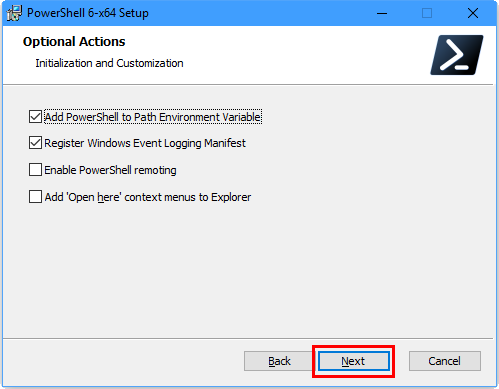 You can choose to change the installation location of the PowerShell Core, if you would like to install it to a location other than its default (which is “C:\Program Files\PowerShell\”). After you set the location, clicked on the “Next” button to proceed with the next step of the installation process. After you clicked on the next button, you will see the “Optional Actions” dialog. Accept the default checked items, and clicked on the “Next” button to proceed. 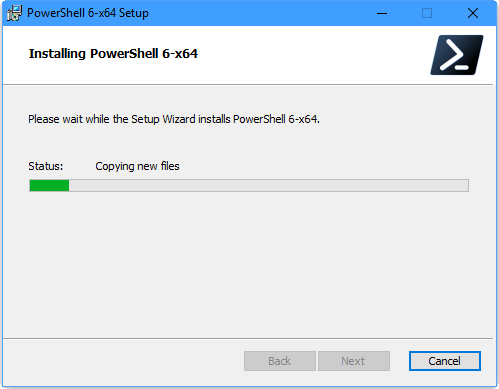 After you clicked on the next button, you are finally ready to install PowerShell Core. Click on the “Install” button to proceed with the installation. 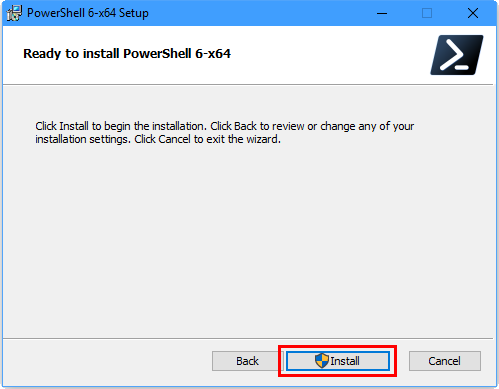 After you clicked on the install button, the installation process will install PowerShell Core. After the installation is complete, you will see a screen like the below. Click on the “Finish” button to complete the installation process. After closing the installation dialog, you can run PowerShell from Windows Start Menu by clicking on the item labeled “PowerShell 6 (x64)”. This is bring up the PowerShell Core command-line shell. Type “$PSVersionTable” on the command-line to see the version of the PowerShell that you are running. Things to note are PSVersion and PSEdition. PSEdition should read “Core” and PSVersion should report the version of PowerShell Core that you are running. At this point, if you see a screen like the above, it means you have a running copy of PowerShell Core. This blog post relates to fixing HTML styles toolbar of a Windows blogging application call Open Live Writer. Disclaimer: This is not a foolproof or perfect fix. I only encounter this on a new installation in a new PC lately. I do think this issue is highly related to the CSS theme used in the blog. However, it remains unclear as to what is the actual cause of this problem. This issue has been reported in GitHub here. There is no official solution for fixing this issue. But you may be able to get rid of those blocks overlaying the HTML styles. Disclaimer: This is not the correct solution. It merely provides a way to get rid of the blocks. 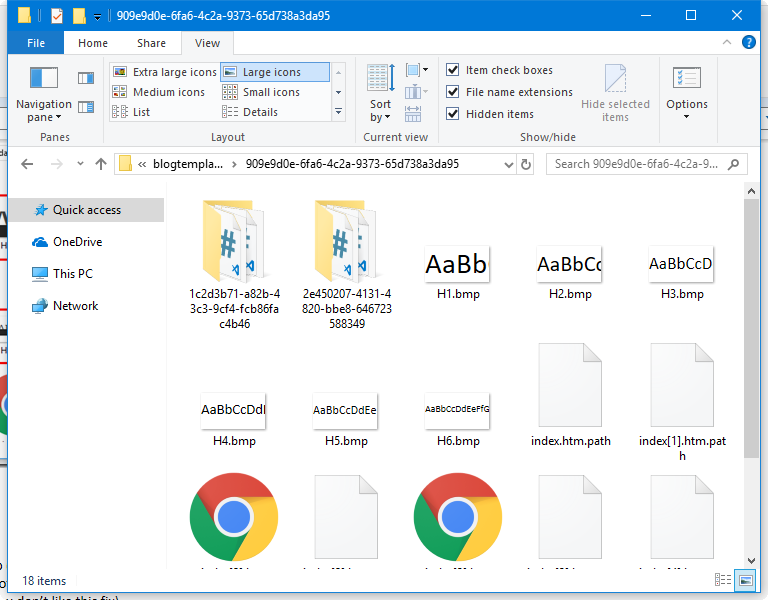 You know how to run Windows File Explorer and know how to navigate to a folder location. You know how to download a zip file. You know how to extract files from a zip file. You know how to make backup copies of files. Download a dummy set of HTML style images from the zip file (Open-Live-Writer HTML Styles.zip) here. This is a set of HTML styles images based on the WordPress theme “Twenty Nineteen”. This folder contains multiple folders. 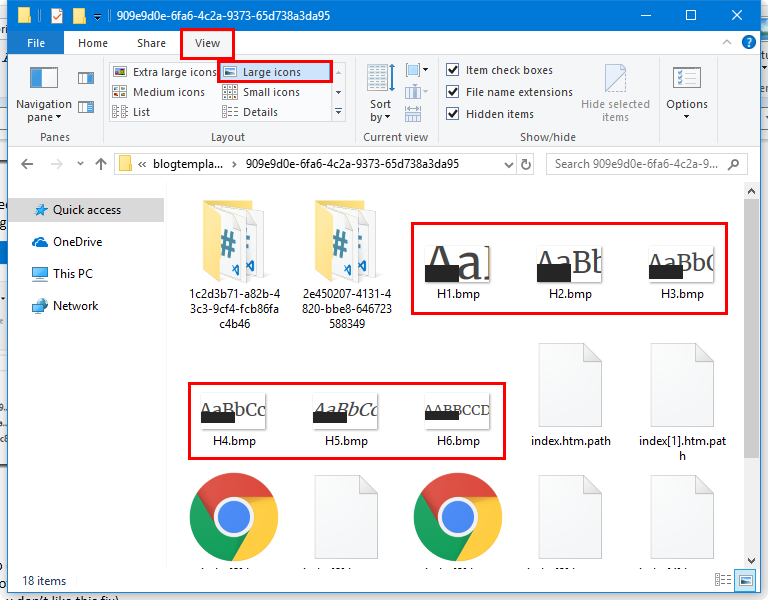 In each folder, there would be a set of bitmap (BMP) images titled P, H1, H2,… to H6. Go through each folder until you find the set of images that matches what you see in your Open Live Writer toolbar. Make a backup copy of the images (in case, you don’t like this fix). Extract the images from zip file downloaded from step 1 and store them in this folder. Close Open Live Writer. You should see the changes when you restart Open Live Writer. I assume you know how to download a zip file from Internet. Enter “%APPDATA%\OpenLiveWriter\blogtemplates” in the navigation bar. You may see multiple folders in this folder. Each folder represents a blog that you have registered with Open Live Writer. So the following image implies that I have 3 blogs registered with Open Live Writer. 3. Going through each folder until I find the folder with images similar to what I see in the toolbar. If you could not see the preview of the image files in the folder, try setting the view layout to “Large icons”. 4. Making backup of the images. I’m skipping this step here. I assumed you know how to do this. 5. Extract the images from zip file downloaded from step 1 and store them in this folder. This is a note to self about installing the .NET Core SDK 2.2 on Ubuntu (because the instructions on Microsoft website does not work / is incomplete). When the .NET Core 2.2 SDK release was announced, I was keen to install it on my Ubuntu machine. So I went to their web site (https://dotnet.microsoft.com/download/linux-package-manager/ubuntu18-04/sdk-2.2.100) and and followed their instructions there. After update, you should be able install .NET Core 2.2 SDK by running the following command again. This blog post is a quick note to myself explaining how I fix the ‘Failed to load module “topmenu-gtk-module’ error message from displaying. You are most likely to see this error when you try to launch a desktop application from the command-line. This error message appears because your operating system is probably missing required packages, specifically “topmenu-gtk3” or “topmenu-gtk2”. During the upgrade from Xenial to Bionic, the installation process disables all other PPAs. While its possible to fix this issue by downloading and compiling the source files for these packages, being of a lazy nature I decide against to do that. Instead what I chose to do is intentionally add the Xenial package repository back into my list of “Software & Updates”. After I added that back in, it should prompt you to update your list of packages. 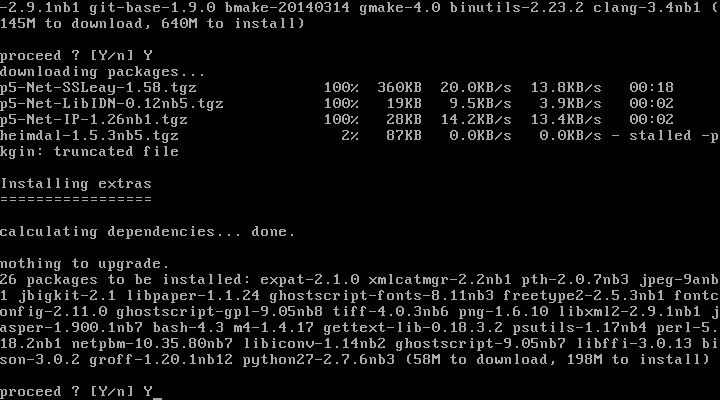 After the command-line have finish running, you can install “topmenu-gtk2” and/or “topmenu-gtk3”. I tried install “topmenu-gtk3” first. But that did not get rid of the message. So I went on to install “topmenu-gtk2”. After the packages finished installing, you should not see the error message when you run your desktop application from the command-line. This is a blog post describing how to update your Kindle Touch firmware manully. The instructions to transfer and install the software updates can be found here (as of 2018-05-27). The rest of this blog post is simply a more descriptive version of the instructions stated. First, I note the version of the firmware that my Kindle Touch is using. Assuming you are on the home page, this is done by clicking the menu button and select “Settings”. On the Settings page, click on menu button and select “Device Info”. A “Device Info” dialog would popup. You can see the version of the firmware that your Kindle Touch is using on the 2nd last line of the dialog content. As stated in my screendump below, my Kindle Touch device is currently using 5.3.7.2. The latest version of the software as stated on the software updates download site here is 5.3.7.3 (as of 2018-05-27). After you clicked the link, you should received a file named “update_kindle_5.3.7.3.bin”. After the file is downloaded to your computer, connect your Kindle Touch to your PC. After the file is copied, eject your Kindle Touch device from your computer. You are now ready to apply the update to your Kindle Touch. To apply the update, go to the Settings page as stated above when we wanted to check for the firmware version. Then on the Settings page, click on the menu button and select “Update Your Kindle” button. A “Update Your Kindle” dialog would popup. Click on the “OK” button on the dialog to proceed with the update. After you clicked the “OK” button, the device will restart to apply the update. You may see the following screen. Gradually, the update process will end. And you will see that your Kindle Touch is updated to the version of the firmware update that you downloaded. If you proceed to register your Kindle Touch, you should be successful this time round. This blog post is a reminder note to myself on how to use the ACMESharp PowerShell module to get SSL certificates from Let’s Encrypt CA. Steps 1-3 is only for setting up on a new PC. Step 2, 4 should be repeated for each domain that you want SSL certificates for. Steps 2, 5-7 should be repeated whenever you want to get or renew certificate. ZX: Generating SSL certificates for HAPROXY is similar to NGINX, except it includes a key. This blog post describes how you would deploy files to a Windows Server via SFTP using Gitlab pipelines using shared runners. The practical uptake for this is that you can deploy files for your website to be served by Internet Information Services (IIS) server using Gitlab pipelines. Note: The context of this post is about deploying websites but the steps described can be used for deploying any type of file using Gitlab pipelines. You have an working Gitlab account. You have a working Gitlab repository. You have a SFTP server running on your Windows Server and you have a working SFTP account for that server. If you do not have a SFTP server, you can consider SFTP/SCP Server from SolarWinds. To put it simply, pipelines is Gitlab’s mechanism to perform tasks specified by you when you check-in files into your Gitlab repository. These tasks are executed by processes (dubbed "runners" in Gitlab terminology). The runners can be grouped in shared and private (non-shared) runners. Shared runners are hosted by Gitlab to be used by all users of Gitlab that wishes to use them). They are free to use but are limited to 2000 CI minutes per month unless you upgrade your Gitlab plan. In comparison, private runners are setup using your own resources. After you setup your private runner, you have to register it to Gitlab in order to have Gitlab to use it. When you check in files into your Gitlab repository, Gitlab will check for the existence of a file called ".gitlab-cl.yml". This file must be named exactly as typed (it is case-sensitive). 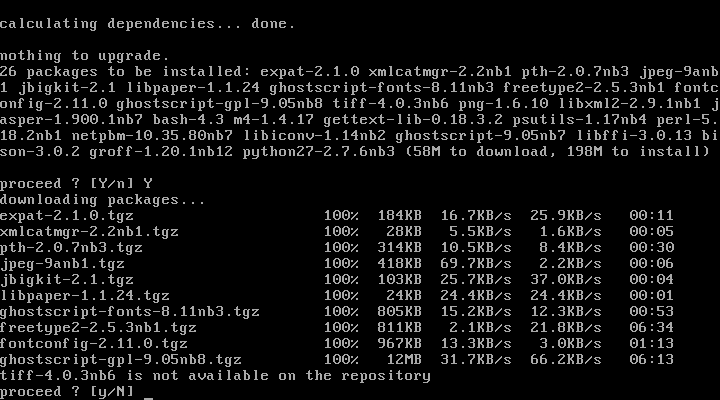 The existence of this file tells Gitlab that there are tasks to be done. This file will list out the "jobs" for Gitlab to carry out. As mentioned in the summary of this blog post, we want to setup a Gitlab pipeline that deploy to our SFTP server whenever we checked in a file. As such the below is the ".gitlab-ci.yml" file that would allow us to do that. Line 1: Declare that "jobs" will be executed in a Docker container that use the image "alpine". The "alpine" image used here is one of the lightest Linux container, Alpine Linux. You can use other images as long as that image is in Docker store. Line 3: The "before_script" section. Declare the actions to be carried before any jobs are executed in this section. Line 4: Update the Alpine Linux software package manager, "apk". By default, "apk" is empty. So we need to populate it with the software catalog. 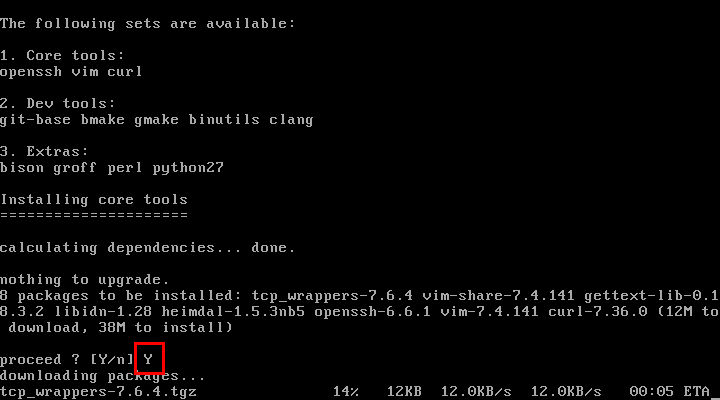 Line 5: Install the "openssh", "sshpass" and "lftp" software packages. Line 7: Our declaration of a job call "deploy_pages"
Line 8: Indicate that this job is only to be execute in the "deploy" stage. Quick concept of "stage": Basically, a job are executed in different stages in the order of "build", "test", and "deploy". Jobs in the same stage are executed concurrently (assuming there are sufficient runners to execute the jobs). Line 9: The "script" section. Actions to be carried for the job are specify under here. Line 10: List files in the docker container entry point. By default, Gitlab will dump a copy of your code repository at the container entry point. I like to see a list of the files. This is otherwise a frivolous step that is not need. Lines 11 and 12: Make a directory call ".public" (note the period in front of "public") and copy all files at the entry point into this directory. ZX: This step is for facilitating lftp at step 14. The problem is that Gitlab will dump a copy of the git repository at the entry point as well. But we don’t want to accidentally deploy the git repository, hence the copying of files to a sub-directory. Line 13: Start a SFTP session to "servername.somedomain.com" using the account name "zhixian" using password stored in secret variable "$SFTP_PASSWORD". Execute a SFTP command "pwd" and terminate the SFTP session. ZX: This step seems frivolous, but is essential to the success of this job. As mentioned, jobs are executed in a Docker container environment. Hence, if we initiate any form of connection to a new SSH-based environment, system will prompt us to accept the "fingerprint-key" for that new SSH-based environment. This line creates SFTP connection and accepts "fingerprint-key" for the SSH-based environment without prompts. ZX: Note the "$SFTP_PASSWORD". This is a secret variable set under your Gitlab repository "Settings" section, under "Pipelines" subsection. If you scroll down, you will see a "Secret variables" section like the below. The password to the SFTP account is specified here. Line 14: Executes the "lftp" command. Here, we use the "mirror" feature of lftp. This feature makes a replica of the file structure of the source to the destination. ZX: Note the "sftp://" prefix in front of the server domain name ("servername.somedomain.com"). It is important to include this to establish SFTP connectivity. If this is not specified, lftp will assume normal FTP. Line 15: Specify the "artifacts" section. Items listed under the "artifacts" section will be available for download after the job is completed. Line 16: Specify the "paths" section for the artifacts. Line 17: Specify that ".public" folder is to be treated as a an artifact made available for download. Line 18: Specify the branch of code that will cause this job would be executed. Line 19: Specify the this job is to be executed only when someone checked-in to the "master" branch. That’s basically all that is needed to get Gitlab to send files to your SFTP server. You are unable to download docker images from the repository. You received a network timed out error message. This issue is probably due to your Docker DNS Server setting. Switch it from Automatic to Fixed to resolve issue. 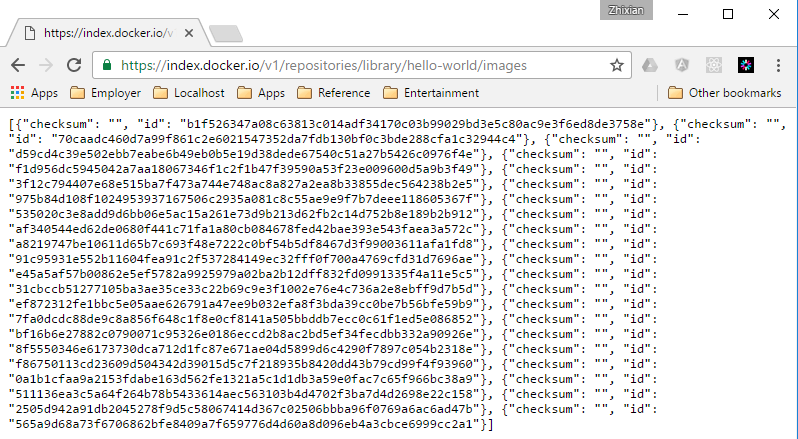 However, when you open up your browser to navigate to the url (https://index.docker.io/v1/repositories/library/hello-world/images) of the image, you found that you have no problems. This maybe due to an issue with the Network settings of Docker. Specifically, the problem maybe with the DNS Server setting. 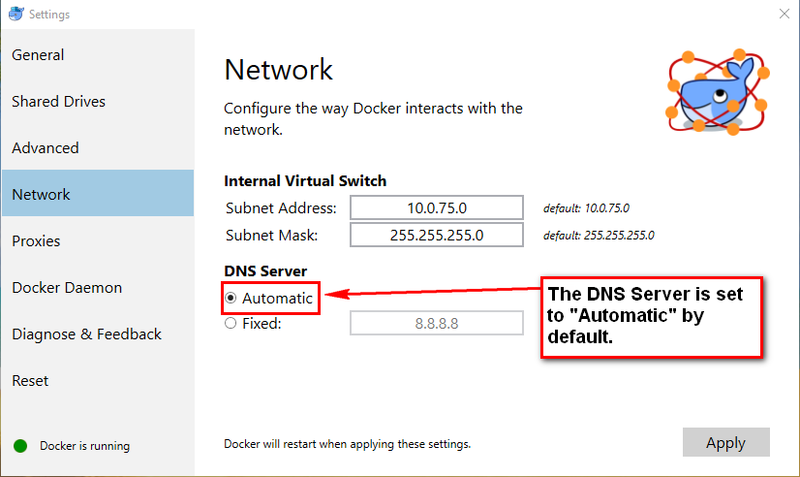 The DNS Server is set to Automatic by default and that DNS server may not be able to find the docker image repository. To resolve this issue, simply set the DNS Server setting to “Fixed”. After clicking on the “Fixed” radio button, click on the “Apply” button to apply your changes. This will cause Docker to restart. 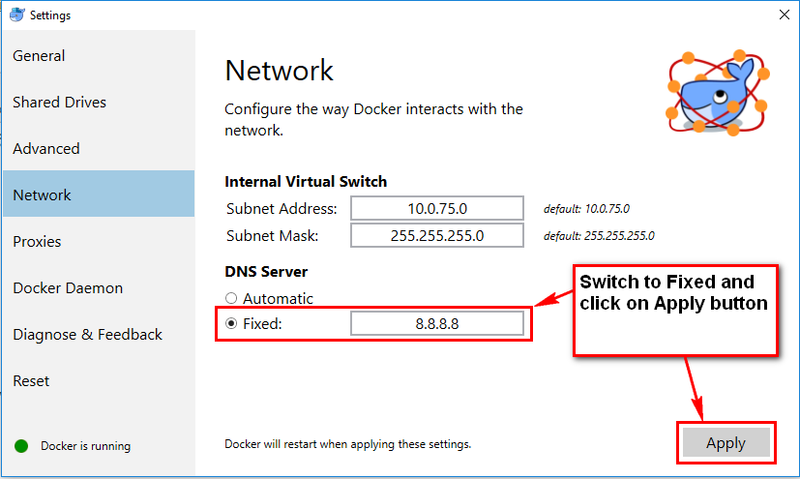 After Docker have restarted, you should find that you are able to pull docker images without any issues. This is a reminder blog post. 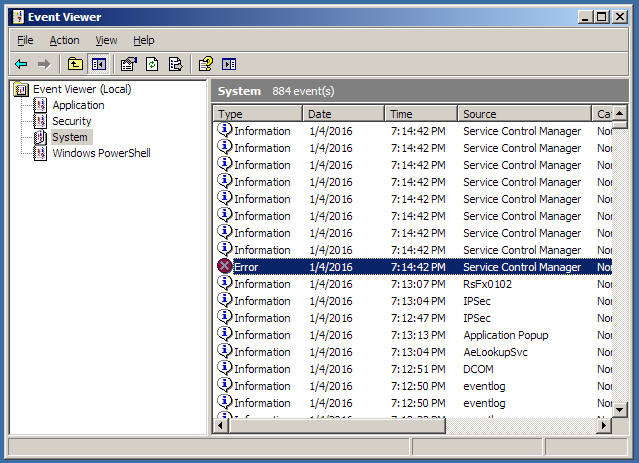 When you logged into Windows and examine the Event Viewer, you may see an error under System. Note the space after “start=” in the above command. It is required. After you ran this command, you should not see the error message prompt on your next Windows bootup. Note: This solution deviate from the one stated in the reference. 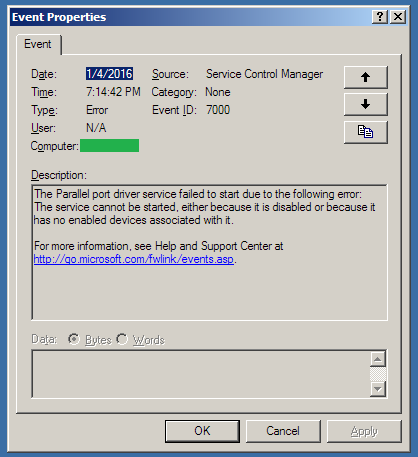 Error message on a Windows Vista-based or Windows Server 2008-based computer that does not have a parallel port: "The Parallel port driver service failed to start"
When executing pkgin_sets, it will show the following screen and prompt you to install each set one by one. Zhixian’s note: The software installed can be found in /usr/pkg/bin (or /usr/pkg/sbin for system executables). For some reason the tiff library is missing from repository. Searching and installing the tiff library that got missed out earlier.